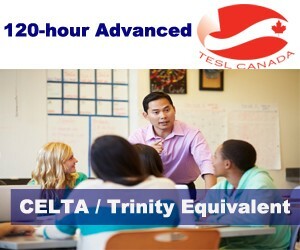 Get TESOL certified! Accredited online courses starting at $295! Context used to present the above topics: How strict or easygoing upbringing affects future attitude. Assumptions: students will probably use ‘can’/’can’t at the beginning of the task to talk about permission and prohibition. Anticipated problems: They will probably tend to say “make sb TO do sth” and they might try to use “be allowed to” in active voice. The teacher introduces the theme by handing students a copy of her personal diary when she was a teenager and invites them to read handout # 1. (She uses this to check the meaning of easygoing and strict). After reading, she will invite one or two students to recount related experiences and will suggest that many people react to strict upbringing by adopting very easygoing attitudes as parents and vice versa. (Arguments about this will probably arise). The teacher will then give instructions for the task and check that they were understood. Planning: Students are asked to read a text (Handout # 2), in which three different people are retelling personal experiences about punishment they received when they were at school. The teacher checks comprehension through some questions. With this new piece of information, students return to their survey gathered into pairs different from those at the beginning of the class, to refine their questions. This time, the teacher stands by to offer language advice if necessary. Report: Students go back to original pairs to draw conclusions and write a report on their findings to try and answer this question: “Does upbringing affect attitudes? Then each pair will read their report to the whole class and they could discuss about differences if any. Teacher will also elicit interrogative and negative forms of each. Students will provide examples of their own using every structure in all its forms. Then, they will have a discussion about upbringing and attitudes using the target language. Today is one of those days in which I would hide in my bedroom and never go out again. At school they made me go outside the classroom just because I was talking to a mate instead of listening to the teacher. I was not allowed to go back in, until the class was over. On top of this, they sent a note to my parents for an interview on Friday to talk about my “disruptive behaviour.” How can they be so intolerant? Though my parents are really easygoing and patient and they never tell me off for stupid stuff, I know they won’t let me go to a party this Saturday. Guess what? Claudio, the lad I fancy, will be there! Cringe! When I have my own children I will let them do whatever they want to and, I’ll send them to a school where they can feel really at ease and nobody will make them think that they are problematic students. 1- The worst punishment I can remember was when I was at primary school, and I’d stayed in the school building at lunch time, because I felt it was too cold to go out. And for that they made me go down to the class below and do all their lessons for a whole week. And I wasn’t even allowed to see my own friends during the break times. 2- I remember I was about seven and I got punished because I held my prayer book too low in morning prayers. They made me stand up in front of the class and recite a player in from of everybody, and I was terribly embarrassed. 3- When I was about eight years old and I was at school, I remember we were having a Latin lesson, and the teacher asked me something, and I was extremely rude back to him. And to punish me, he made me write out “I must not be cheeky” something like 500 times in Latin on Saturday afternoon.